Buckle your helmet and explore can’t-miss attractions on this 2-wheeled sightseeing adventure. Take advantage of the unique perspective that a cycling tour can offer as you check out the scenic viewpoints, sprawling gardens and historic districts that define Sydney’s personality. Starting near Circular Quay, jump on your comfortable street cruiser and head to unobstructed looks at the iconic Sydney Opera House and the towering Harbour Bridge. Listen as your entertaining local guide shares a bit of the history of each site and points out other famous landmarks. A short cruise away, pedal along the palm-lined streets of The Rocks district where you can get up close to some of the city’s oldest buildings. Keep riding to reach Observatory Hill but don’t worry about gruelling climbs. This low-lying bump is easy to get to but still affords dramatic views of the surrounding scenery. Grab a few photos before coasting downhill to Darling Harbour, where sleek yachts and slender sailboats float in the calm water. Leaving the marina, make your way to the Royal Botanic Gardens. Take your time wandering the aromatic grounds and examining the splendid selection of ornate plants. Finish your day with a visit to the shady avenues of Hyde Park – seeing the ANZAC Memorial and Museum of Contemporary Art along the way. At a nearby pub, dismount your trusty steed and rest your legs, perhaps enjoying a frothy pint with your fellow riders before heading back in the cool breeze of the waterfront. Select this option if your group includes up to 2 adults and 2 children aged 3–16.Live Commentary in English. Select this option for a single ticket.Live Commentary in English. Tour guide was funny and knowledgeable! 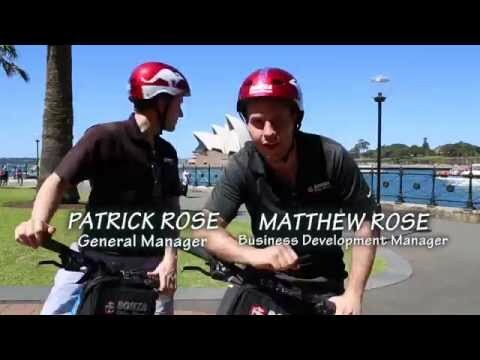 Great tour of the highlights of Sydney! It was the perfect way to see the city and learn more about the highlights. Tif, our super awesome guide, made it fun and was able to point out sights we would have never seen on our own. It was a great ride through the city and after about 11 miles and a beer, we didn't want it to end. The path taken had a couple challenging hills but the views were beyond spectacular and we even got to ride across the Sydney Harbour Bridge. We had a great time and would highly recommend the tour to anyone able to ride a bike. Our 11 yr old daughter loved the ride (disclaimer she is a great cyclist).